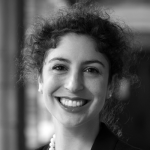 D&S lawyer-in-residence Rebecca Wexler unpacks how private companies hide flaws in software that the government uses to convict and exonerate people in the criminal justice system. What’s alarming about protecting trade secrets in criminal cases is that it allows private companies to withhold information not from competitors, but from individual defendants like Glenn Rodríguez. Generally, a defendant who wants to see evidence in someone else’s possession has to show that it is likely to be relevant to his case. When the evidence is considered “privileged,” the bar rises: he often has to convince the judge that the evidence could be necessary to his case—something that’s hard to do when, by definition, it’s evidence the defense hasn’t yet seen.